If you have access to a television, then you’ve probably heard your fair share of “Don’t Drink and Drive” PSA’s. However, things happen. People make mistakes. Unfortunately, mistakes for drinking and driving in Florida may come with serious consequences. Not only is it is dangerous for you, it is dangerous for everyone else on the road. If you don’t drink responsibly, then there are tons of other options to make sure you get home safely. Regardless of if you call a designated driver, taxi, or Uber, the most important thing is to have a plan for getting home if you think you will be too inebriated to do so. When you are stopped for a possible DUI in Florida, the police officer might ask you to step out of your car. This could happen after a bit of back and forth, or right away if you are acting out. Regardless of why it happens, do not refuse to follow the police officer’s instructions, and simply step out of your vehicle when asked. While the police officer can ask you to take a field sobriety test, you are allowed to refuse to do so. If an arresting officer tries to take your driver’s license for refusing a field sobriety test, call a Florida DUI attorney as soon as possible at 800-625-5235. 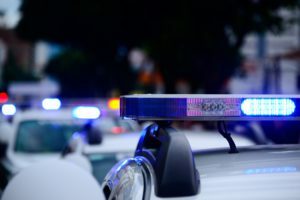 The state of Florida has what is called an “Implied Consent” law that means an individual gives permission to have their blood alcohol concentration (BAC) measured if a police officer has probable cause to believe they have been driving under the influence. Since refusing to submit may result in serious penalties, it is best to contact a DUI lawyer in Florida who can help argue your case. If the officer decides there is probable cause to arrest you for driving under the influence, you’ll then be put in police custody. Make sure to stay calm throughout the process, as getting upset and making a scene will not help your case. It is in your best interest to invoke your right to remain silent, and respectfully request legal representation as soon as they will allow you to. Once this happens, make sure you protect your rights and reach out to a qualified DUI lawyer in Florida. The sooner you do, the better the chance your attorney will be able to find more ways to help you. You need and deserve an experienced DUI lawyer who is familiar with the Florida legal system, and who will relentlessly fight for your rights. The attorneys at The Ticket Clinic have a proven record of successfully defending both criminal and Florida DUI charges. Our DUI attorneys in Florida will help guide you through the legal process. Call 800-625-5232 today to schedule a free consultation.